I made vegan cheese dip, aka vegan queso, yesterday for a gathering I had. A friend overheard me discussing it and said, “seriously, there’s no cheese in this? You can’t tell!” SUCCESS! The cheese sauce is very versatile. Last weekend I used it to make a vegan mac & cheese. 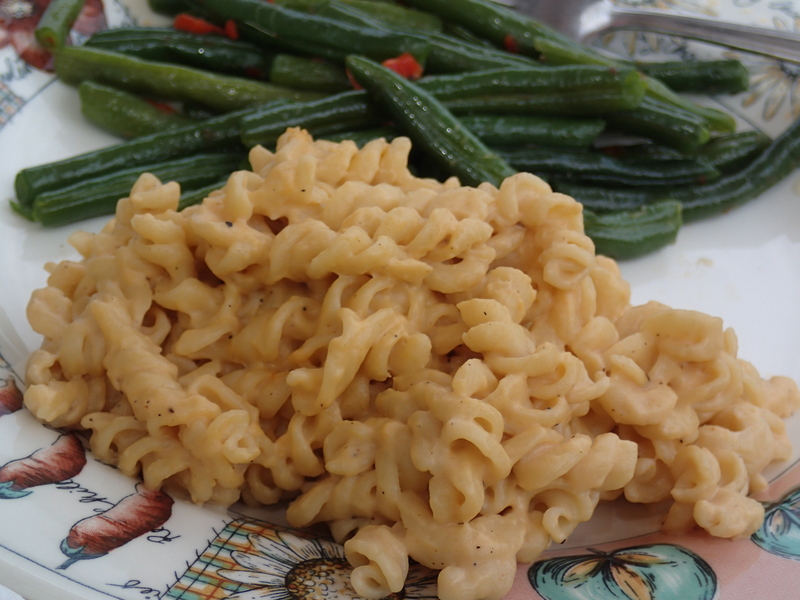 So far my husband has been very unimpressed with vegan mac & cheese recipes that are heavy on the nutritional yeast. This recipe only uses 1/8 cup. He loved it! He loved it again last night as the vegan queso, and will love it again today on a baked potato with broccoli & cheese sauce! Not only is it delicious but it’s also easy! Just throw the ingredients in a blender, blend until smooth then cook it in a double boiler. 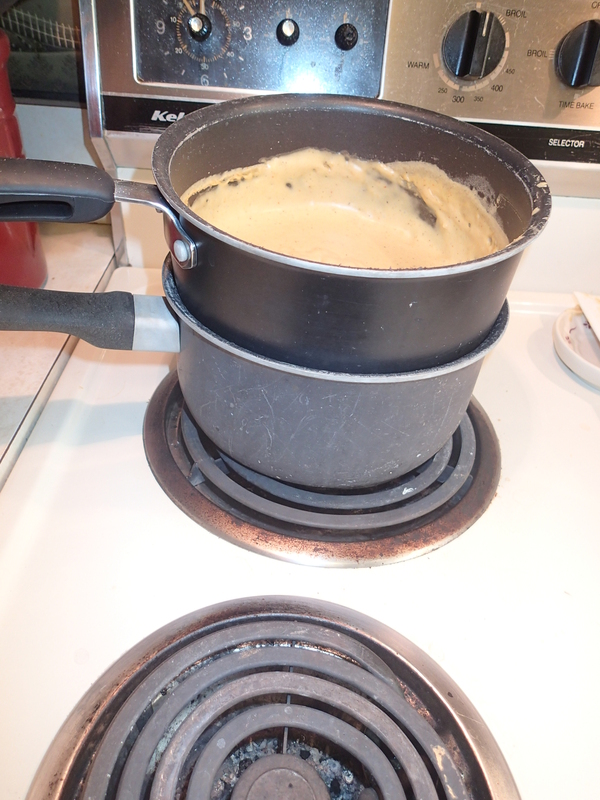 If you don’t have a double boiler you can do what I did: Put a same size or bigger pot on top of a pot of boiling water. Voila! Edit: I’ve become lazy and no longer do the double boiler method. I simply put it in a saucepan on medium-high heat and let it cook until desired consistency. Just make sure to whisk it consistently so it doesn’t clump or burn on the bottom of the pan. 1 cup non-dairy milk ( I use Rice Dream’s rice milk) or an additional cup of water. Add cashews & water to blender & blend until smooth. Add the remaining ingredients except for the milk (or 2nd cup of water) and continue blending until mixed well. Pour mixture into the top of a double boiler. Add the cup of non-dairy milk (or an additional cup of water) to the blender and swish around to remove remaining sauce and add to double boiler. Heat until thickened, about 5-10 minutes, stirring frequently. Toss with cooked noodles and season with salt & pepper to taste.